The South Carolina Attorney General amended his complaint against Jay Brooks Monday to include Brooks’s wife. The Brookses are accused of illegally selling securities to fund a new school, Compass Academy. The Brookes instead used the funds for paying personal debts and personal purchases. The Brookses made lavish purchases like rings from Tiffany’s, personal vacations, credit card payments and even payments to the IRS. Further more, it would appear that once a new investor was found, the Brookses would spend thousands of dollars out of the investment accounts for personal purchases. The amended complaint asserts that Tracy Brooks, Jay Brooks’s wife, was a willing part to the fraud, lies and misappropriation of investor funds for personal use. The amended complaint further alleges that Mrs. Brooks lied when speaking to the State Securities Division concerning her role in the development of the business plan used for Compass Academy as well as her communication with investors. · Class III: Those who were not consulted or refused to invest in Compass Academy. These investors were told their money was going into bonds, trusts or other investment contracts. In turn, their money was being used to either benefit the Brookses or to pay expected returns to investors in Class I and Class II. Former US Attorney Pete Strom said Monday, “I’ve read this book twenty times in my career… This is a Ponzi scheme and unfortunately, most of these people are going to lose their money.” Strom represents Ms. Sandra Fadely, a former client of Mr. Brooks and J. Brooks Financial who has filed a Class Action Suit alleging Brooks or another person forged Fadeley’s name on financial documents, sold stocks without her knowledge or consent and transferred more than $470,000 of those funds to the Compass Academy account at Security Federal bank. The attorneys at the Strom Law Firm, LLC are actively investigating additional claims against the Brookses connected to Compass Academy. If you have any information concerning the Brookes or Compass Academy, or if you yourself have invested with Mr. Brooks for purposes other than supporting Compass Academy, please contact the Strom Law Firm at 803.252.4800. 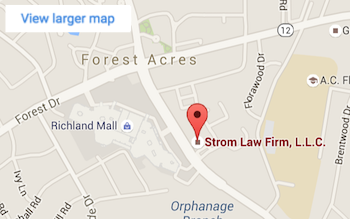 Our team of attorneys at the Strom Law Firm, LLC understands the complexities surrounding class action lawsuits. Contact our law firm today for a free review of the facts of your case. Founded in 1996 by former United States Attorney and assistant solicitor Pete Strom, the Strom Law Firm, LLC aggressively pursues class action cases. The class action lawyers at the Strom Law Firm have litigated class actions across the State of South Carolina and nationwide. Call us today for a free consultation to discuss your legal rights.